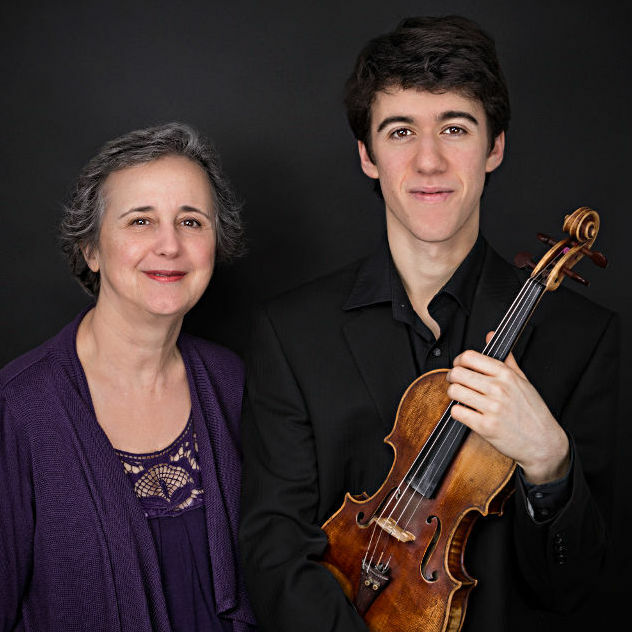 Emmanuel Bach is a classical violinist whose playing has won him competitions and awards, including the National IAPS Competition, Newbury Young Musician and Una Clark Competition. He graduated with a music degree from Magdalen College, Oxford, achieving a double first. He is currently studying for a Masters at the Royal College of Music, as a scholar supported by the H R Taylor Trust. Alongside UK concerts, Emmanuel has performed in France, Italy, Germany and South Africa. Concerto performances have included Glazunov, Khachaturian, Mendelssohn, Piazzolla and Wieniawski. In 2011, Emmanuel was invited to play Bruch’s Scottish Fantasy with the Pretoria University Orchestra and conductor Eric Rycroft. He returned in 2013 to play Lalo’s Symphonie Espagnole. Both performances earned him nominations for the ‘Best Upcoming Artist’ award at the Karoo National Arts Festival. Other performances include playing the Britten Concerto with the Southern Sinfonia and conductor David Hill, Paganini Concerto No. 1, and the Brahms Concerto, which received praise in a review for the “beautiful, well-balanced presentation” and “excellent tone quality”. Also an active recitalist, this year Emmanuel gave the UK première of Lennox Berkeley’s Sonata No. 1 for the Berkeley Society. Emmanuel is a dedicated chamber musician, and has received coaching by members of the Wihan, Elias, Skampa and Allegri Quartets. He held a Leverhulme Fellowship in chamber music at Pro Corda, coaching young chamber musicians and promoting music education. Emmanuel is a passionate advocate for charitable causes, and performs in aid of Great Ormond Street and local hospices. He was recently awarded an Edison Fellowship by the British Library, to explore early recordings of string players and quartets. South African born pianist Jenny Stern has recorded for radio and television in Europe and South Africa. She made her début playing Mozart’s Piano Concerto K450 with conductor Alberto Bolet. Following studies at the Royal College of Music with Lamar Crowson, Jenny completed a Masters in South Africa, winning the prestigious Emma Smith Overseas Scholarship for further study. Jenny has performed extensively in the UK as a soloist and chamber musician. She has collaborated with principal players from London orchestras, including the English Chamber Orchestra and the Royal Opera House Orchestra. In South Africa, her major performances include highly acclaimed live broadcasts of Rachmaninoff’s First Piano Concerto and the Grieg Piano Concerto, and concertos with the Cape Town Symphony Orchestra, Natal Philharmonic and Bloemfontein Symphony Orchestra. Jenny combines performing and teaching: she currently holds posts at Eton College and the Royal College of Music, Junior Department. Jenny has been invited to give masterclasses in the UK and abroad, at venues including the Dartington Summer School of Music and the Euro Music Academy in Vienna. Jenny is also dedicated to bringing music to a wide range of people, and has given over 500 concerts and workshops at universities and schools. Debussy, Violin Sonata in G Minor. Violin Clara-Jumi Kang: Piano: Yekwon Sunwoo.